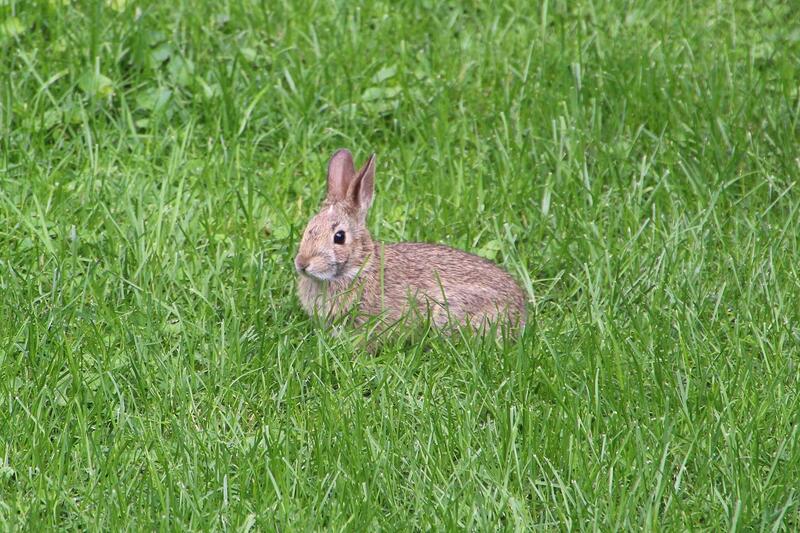 At some point in early June, while listening to public radio on my drive home from school, there was a brief commentary about a book about rabbits. Fortunately I pulled up to a stop sign when the radio program concluded and scrawled the title of the book on a loose piece of paper for future reference: The Sage of Waterloo. As I've often written here, titles, authors and experience have a tendency to reveal themselves when the individual is ready for them. 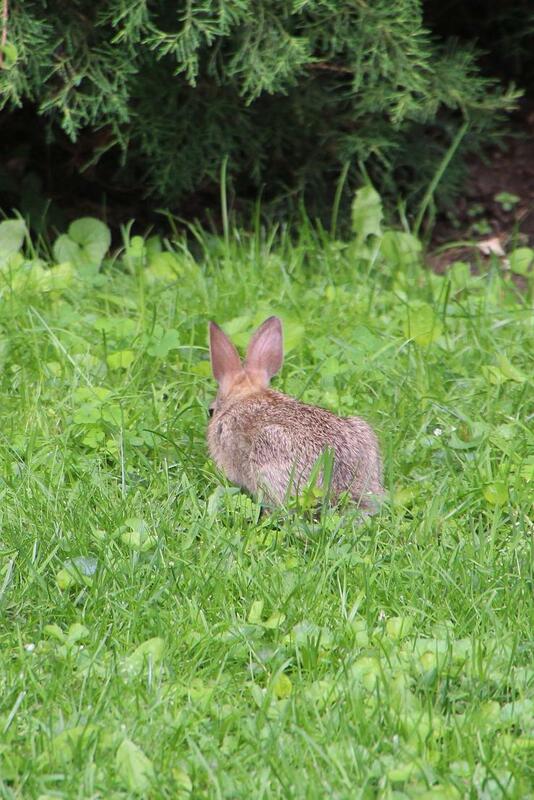 Given my current fixation on the wild bunnies that currently populate my neighborhood--and my anthropomorphic fantasies about them--I was more than ready for a novel about rabbits. 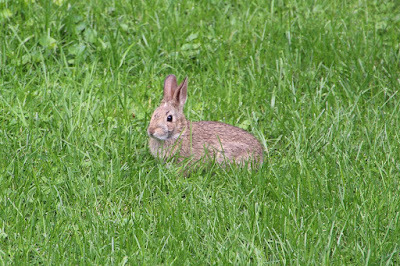 Thoughtful, cultured rabbits, and more to the point, a novel written from a unique perspective on a historical locale of which I had done little previous reading. Thanks to the generous gift card bestowed upon me by a former student/recent graduate of mine, I purchased a copy of Leona Francombe's volume during the waning weeks of school and promptly dug in. "All early memories are close-ups aren't they? A blade of grass; a clump of earth; the undersides of someone's tail. For me it was Grandmother's flank. ..." begins the first "person" tale of a William, a white rabbit whose journey begins in historic Hougoumont, near Waterloo, Belgium. Influenced by his grandmother, Old Lavender (named as such due to her scent), William's world-view is influenced greatly by the historic events that took place at Hougoumont during the Battle of Waterloo. Old Lavender was there at the 1815 battle where Napoleon met his final defeat at the hands of the Duke of Wellington and often shares her recollections of the battle with in her lagomorph charges that include Caillou the runt, Spode the elder statesman and Jonas the rebel. Each rabbit is richly characterized by both their individual actions and their relationships with the narrator and, especially, Old Lavender. Though Old Lavender is the "Sage" of the first 90 or so pages, midway through the novel that mantle shifts to William as he moves beyond the walls of Hougoumont. A tribute to the power of place, William takes his point of origination with him to the "outside" world. Both Sages deliver historical information in the form of anecdotes and observations about historical figures who fought at Waterloo as well as about the natural terrain which still carries the scars and memories of the battle. Among the more fascinating aspects of Francombe's novel is the careful creation of a belief system followed by the rabbits called the Hollow Way. Not only does this suggest the reasoning behind William's actions, but it also contributes to the allegorical feel of the novel as a whole, as the Way suggests attributes of mysticism and naturalism. Throughout the events of the story, William references the deified Moon as the center of his belief's, and the role is plays in times of challenge in his own survival in times of challenge. Early on, William reminds the reader of the power of the Way, a small part of which is clearly mindful reflection on the past, "the view behind is as clear as the view ahead and offers some valuable lessons besides." 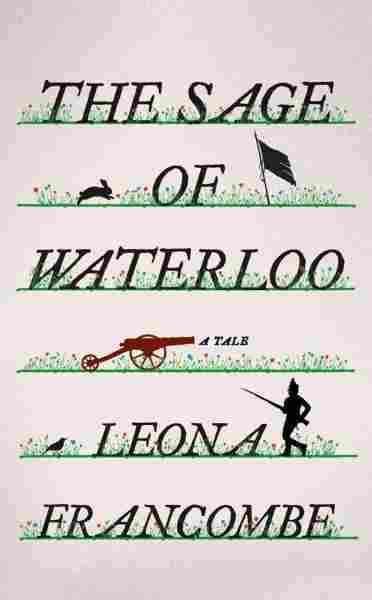 With any luck, The Sage of Waterloo by Leona Francombe will find its way onto many book club tables at local stores. Worthy of both reading and discussion, its elegant and genteel (these two adjectives constantly came to mind as I read) exploration of the power of place in the natural world, history and the consequences of war is chock full of hooks for all interests. Like all good reads, it is so much more than a book about rabbits, despite is being really just a book about rabbits. A highly recommended summer read!